I’m Sister Yaya, your tea guide for this blog. I love tea. I mean, really love tea. I drink tea at every meal, hot or iced, and I love reading and learning about tea as a product and it’s surprisingly hefty influence on human history. You’re here to learn about tea, too! That’s great. That makes us unofficial family, tea buddy! Well, it’s a plant. Camellia sinensis, in particular. The picked leaves are dried, oxidized, and fired at high heat before being packaged. This drying/oxidizing process is where we get the different variations of tea from. Tea is also the drink we make from steeping said plant. (Surprise!) In fact, it’s the most popular drink in the world after water. As you might have already heard, tea boasts several health benefits. It’s consumption has been linked to lower risks of heart disease, cancer, and diabetes. Confusingly enough, some “teas” aren’t strictly tea at all, but are herbs or other plants that are dried using a similar process. 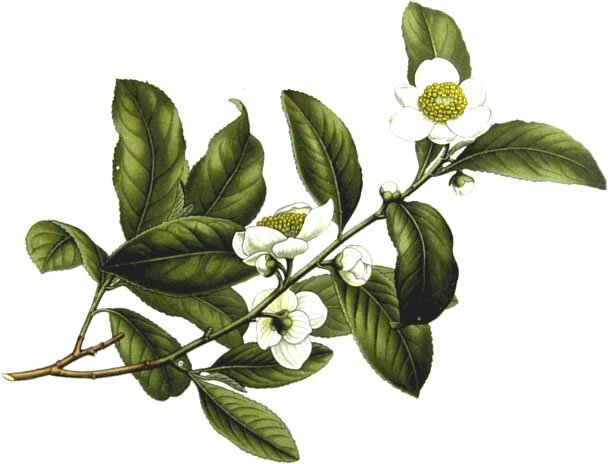 Only the Camellia sinensis plant is technically tea. “Teas” that use other plants and ingredients are called tisanes. So now that we’ve got that, you’ll remember I mentioned there are different varieties of tea. You’re probably familiar with some of them. Most types are named for the color of the liquid after steeping. Aaaand that’s it for the actual made-from-Camellia-sinensis tea categories. Almost all teas will fall under one of these larger, color-coded umbrellas. 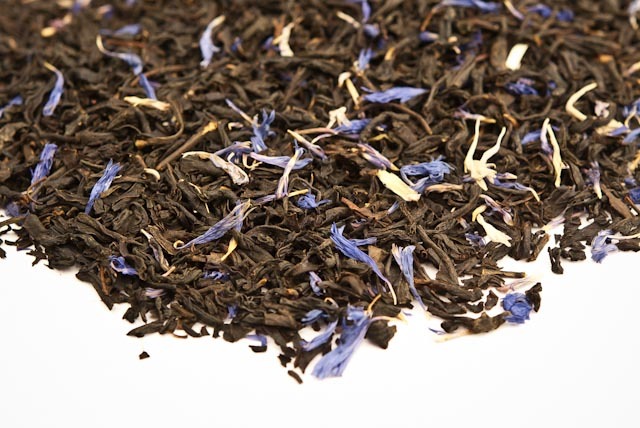 Have you heard of Darjeeling? It’s a black tea. How about jasmine tea? That’s a green tea blended with jasmine leaves. Assam? A robust black. Rooibos up there is the tricky one when engaging in casual tea conversation, as it also likes to go by Red Tea, which can be confusing to the uninitiated. On the whole, tisanes are lovely. They’re usually low or no caffeine –except for the equals-two-cups-of-coffee-no-decaf Mate– and have a wealth of their own health benefits. Please don’t make hot tea from a teabag!!! I beg you! Please! I know, I sound dramatic, but there’s a good reason for all the exclamation points and bold fonts. Teabags contain tea dust, the lowest quality tea on offer. It’s the powdered remains of whatever didn’t make the grade for the good loose leaf crop. Sometimes, if it’s harvested by machine, it contains ground twigs and dirt. You can skate by with bags for Iced Tea, since most add sugar or lemon to it, but doing this to hot tea is just a little bit criminal. This most certainly means there is a taste difference between loose leaf and tea bags. Teabag tea can be weak, lacking flavor, or bitter. Go with the loose leaf. It really is worth it. Great! Now that you’ve got your awesome new tin of loose leaf tea and a handy infuser to brew it in, let’s get started! Water temperature is very important! It’s often overlooked, and is the single fastest way to utterly ruin quality tea leaves. Boiling water will actually scald your leaves, leaving your drink bitter and sharp. This excellent chart from ChinaLife Tea House is the one I base my brewing temperatures on. I highly recommend you check out their site, as they are a fount of tea knowledge. Ignore the Gong Fu Brewing info, unless you’re already familiar with the Gong Fu tea style. For our purposes, we’re only looking at Western style today. You’ll notice the times given on the Western Brewing side of the chart are only about 90 to 180 seconds for the first infusion, or just a few minutes. You generally don’t need very long to steep your tea for the full flavor. In fact, over-steeping can make tea bitter. A good rule of thumb is to wait until your water boils, then let it cool off a few minutes before brewing. If you’re scratching your head, thinking that chart looks awfully exacting and you don’t want to bust out the scale and thermometer every time you brew a cuppa, then never fear! They’re just guidelines. As you go, you’ll discover how much leaf you like and what temperatures and brew times are best for you. Tea is personal, so change it up to suit your liking! 2) Place tea in infuser. Pretty straight-forward. However, your tea should always have a little room in the infuser to expand. This helps the tea leaves release evenly and will make for a more consistent, full flavor. 3) Place infuser in mug. 4) Pour heated (not boiling) water over the tea leaves. This is where brew times come in. For real tea leaves, you’ll only want a handful of minutes. I never steep a green or white past the three-minute mark. For tisanes, those non-tea alternatives, you can go wild! They can be brewed for as long as you like, since they tend not to grow bitter if left too long. Most tea shops will list a recommended brew time on the tin if you’re unsure. You can knock the used tea leaves out over an in-sink disposal like I do, place them in the trash, or hold on to them for a second infusion! Yep, you can use the same tea leaves to brew another cup. There’s a mild variance in taste (some say the second brew is better than the first), but it’s minute. That’s where the “+ infusions” column on ChinaLife’s chart will come in. Essentially, you should steep the second cup for a shorter period of time than the first. Some like to add lemon, sugar, or honey to their tea. I’m usually a Plain Jane when I take my tea, but I do like milk in black tea. Whatever you do, no lemon and milk together! This will curdle your milk. 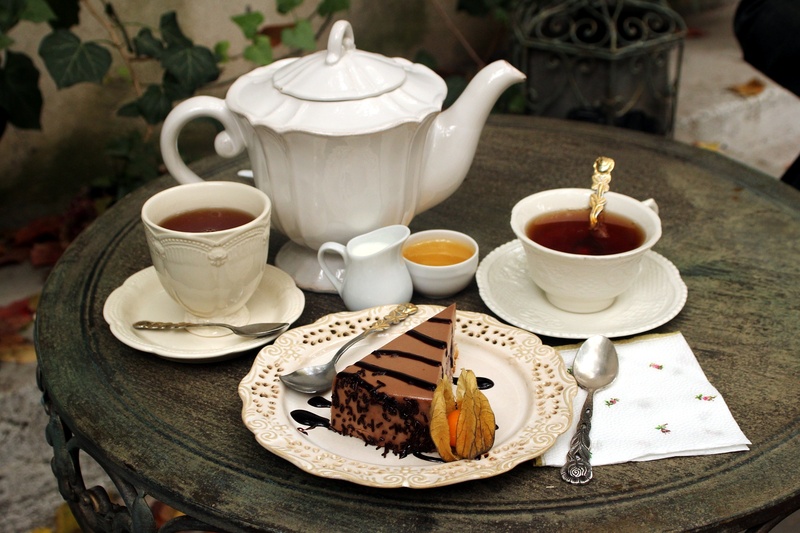 Pour yourself a nice mug of hot tea, grab a scone, and have a wonderful tea time! Thanks, tea witch! I’m so happy you liked it! Well, a lot depends on taste (my brother, for instance, love Blueberry Black tea, which I’m just “meh” on), but I’ll tell you some of my favorites. I’m a fan of the Madame Butterfly green/jasmine tea, which can be pricey, but is super delicate and almost sweet for a green tea. I like Darjeeling 2nd Flush a lot, since it’s just a solid, classic High Tea black. Capital Tea’s Virgin Sangria and David’s Tea’s Earl’s Garden are two of my favorite blends. What are your favorites? I’m also going to be writing tea reviews in the future, so follow or check back with us for some of that good (or bad) ness! And I meant *pouchong btw not Souchong! Bloody autocorrect! great article~ now to hunt for some of that loose tea leaf. Well Yaya, There is an old wives tale that says, “Tea leaves make a good compost for house plants”. I would not know personally. P..S. has Spencers gotten the results on his L caps yet?